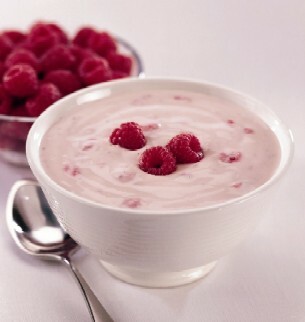 Do you know that Yogurt is Not Just Good Food. It can be Healthy Skin Treatment Mask Too! Everyone knows about the benefits of consuming yogurt. – One of the best natural skincare remedies around. – Alpha Hydroxyl Acid, a natural lactic acid present in abundance helps to smooth rough, dry skin and prevent premature aging such as fine lines. Instant Brightening With Intense Hydration! skin tone will give you a natural radiant glow from within. When I opened the bottle, the sweet fruity yogurt smells wonderful! Can’t wait to apply it on my skin and allows it the absorb all the awesome active ingredients of Amethystory Mineral Yogurt Mask. enhances circulation, promote anti-oxidation and skin cell regeneration. Applied a layer of Amethystory Mineral Yogurt Mask on my face! My skin was amazing became brighter and more radiant! It not only extremely good at hydrating and also softening our skin instantly! Amethystory Mineral Yogurt Mask able to revive dull skin on my face as well. You don’t have to use it daily, twice or thrice a week is good than enough to allow you have a soft and supple skin!